The breasts are predominately a fatty tissue located directly over the top of pectoral muscles. One of the best ways to lift your breasts and increase cup size is to strengthen the muscles underneath your breasts as they help to support them. Today we are going to introduce the most important muscle to firm up our breasts – Serratus Anterior. The serrates anterior muscles are known as the “Wings”. They help us to move our arms multi-dimensionally and with a great speed. 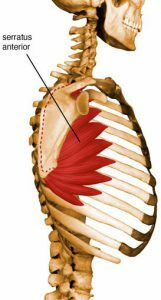 This muscle is an antagonist to the rhomboids to keep the scapula in place. Thus, it will help to keep the upper body in neutral position and lift up the breasts. Often, in an exercise classes, you’ve probably heard teachers say, “retract your rhomboids” and “keep the scapula stable”. Rarely do they prompt you to “contract your serratus anterior”. 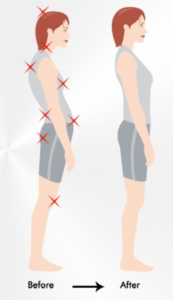 Being the most neglected muscles in our daily exercises, serrates anterior reminds us to use muscle that we cannot see and to take a greater focus on connecting and feeling. Let’s start focusing on this muscles and enjoy the great results that this muscle bring to us. Copyright © 2017 Bhumi Lifestyle All Rights Reserved.